The 35th Annual 2013 ACR Summer Conference! The “Who’s Who” session of the conference is open to all ACR members thanks to John Martinez of New Mexico. There will be no charge for this service. We are limited to 25 people in the room at a time. We’ll first need a head count as to how many members will be able to participate. 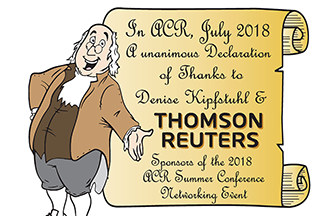 Those who wish to participate, please send me a “What’s New” pdf of a Word or PowerPoint document no later than Tuesday, July 16, 2013, to use during the Webinar and post to the ACR website. If more than 25 sign up we will use the split session times and tell you when to participate. John will be letting members know how to access the Webinar next week! 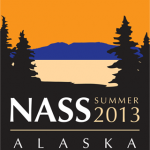 I hope you’re all making plans to attend NASS/ACR 2013 in Anchorage, Alaska in July! All conference events will take place at Anchorage’s Dena’ina Convention Center. ACR’s meetings will be held in Tubughnenq’ 3 which is on the second floor of the convention center. Vendors’ exhibits will be one floor up in the Tikahtnu Foyer. Brad and I have been working to put together an exciting and informational ACR conference agenda which we hope you will enjoy. We’re looking forward to seeing you all in Anchorage! 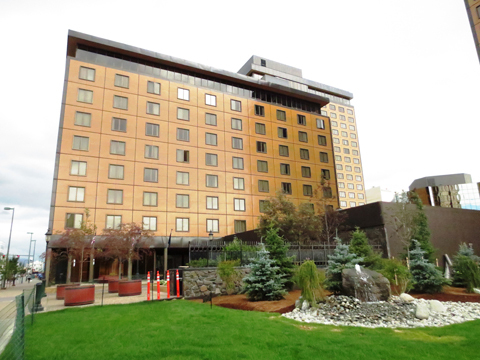 The Hotel Captain Cook was built in the 1960s shortly after the 1964 earthquake that rocked Anchorage, AK. 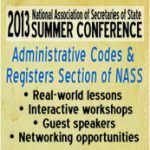 To make reservations, call 1-800-843-1950 and use the code “NASS2013”, or click here. You can cancel your reservation at the Hotel Captain Cook up to 24 hours in advance of your arrival, without paying a penalty. The rate at the Captain Cook is $181 per night. APRIL 6, 2012, Virgin America announced they’re now offering a sale ($177 to $199 ) on one-way fares for flights between San Francisco and Anchorage for travel between June 6 and September 9 if you book by April 8, 2012. 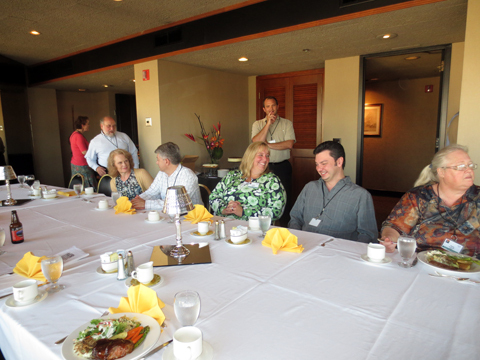 After a long day of travel, ACR members enjoy a meal sponsored by LexisNexis. See below for list of representatives during this session. 1:45 pm – 3 p.m.
Link to pdf of full report. 7. Announcements and Retirements See also, resolutions and certificates. 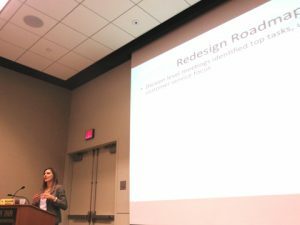 Suzanne Jorgensen explains the process to Web design as it relates to mobile devices and accesibility. 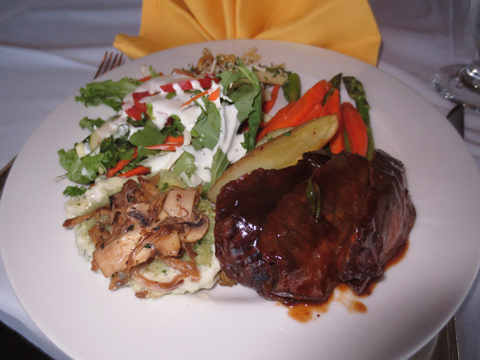 6:30 pm – 10:00 pm Alaska Native Heritage Center Dinner – meet in your hotel lobby (Captain Cook/Hilton Anchorage). Buses depart at 6:30p.m. 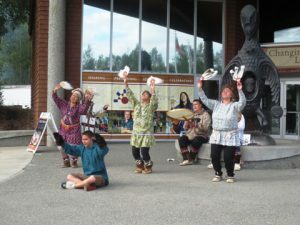 ACR members learned how native Alaskans survive the elements at the Cultural Center. Members were greeted with a native dance. 10:15 am –11:45 am Performance Measures Roundtable, “What is it you do again? 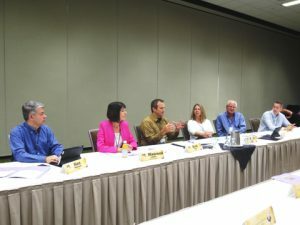 : How do you Communicate the Value of Your Program” – Moderated by Ken Hansen, UtahThe following are pdfs that were used in part of the discussion. 3:30 pm – 12:00 am Prince William Sound Glacier Cruise and Dinner – Meet in your hotel lobby (Captain Cook/Hilton Anchorage). Buses depart at 3:30p.m. Guests will return to Anchorage at 12:00a.m. Travelers departing Alaska on red eye flights should plan accordingly. During the 2013 session, the General Assembly passed two bills related to the Virginia Administrative Process Act (VAPA). The result of an Administrative Law Advisory Committee (ALAC) study, Senate Bill 1043 extended the initial effective period of emergency regulations from 12 months to 18 months. The bill also added a requirement that the current authority of the Governor to extend the effective period for up to an additional six months must be exercised before the expiration of the initial 18-month period. Senate Bill 944 provides that when a final decision of an agency is appealed under the Administrative Process Act and the decision on review is to be made based on the agency record established from a formal hearing, the duty of the court with respect to issues of fact is to determine whether there was substantial evidence in the record to support the agency decision. The amendment also allows courts to conduct a de novo review with respect to issues of law. The Administrative Law Advisory Committee has formed two work groups in 2013. The first group is considering updates to the Hearing Officer Deskbook at the request of the Supreme Court of Virginia. The book was last updated in October 2009. The work group is currently awaiting input from hearing officers and administrative law judges in the Commonwealth.